Can You Convert a Vinyl Pool To Fiberglass? Vinyl liner pools have always been a popular choice for many in-ground pool owners, they were especially popular about 20 years ago before fiberglass pools became such a popular choice. The problem with a vinyl liner is simple: they don’t last forever. Chances are you have experienced or are experiencing this problem. There have been significant changes within the swimming pool industry over the last decade, like advancements in fiberglass technology. These advancements have left many vinyl pool owners, who are in need of replacing their liner and/or existing structure, asking can you convert a vinyl pool to a fiberglass one? The answer is yes. There are many benefits in owning a fiberglass pool, such as quick installation, non-porous surface, and overall less maintenance. Fiberglass pools are 17 times stronger than concrete, designed with flexural strength that prevents cracking in extreme climates, and more. The choice to switch to a fiberglass pool is not the least expensive option, although it does save you from having to replace your vinyl liner again and reduces overall maintenance time. Who should make the switch? A fiberglass insert is great for new homeowners, who plan on using their pool for years to come, if they have to replace the liner of an existing swimming pool where the structure of the pool appears to be in poor condition. Many new homeowners experience moving into a home, where the existing swimming pool has been neglected. If you find you have to constantly replace your vinyl liner, which could be due to a variety of factors from climate and environmental, to chemical imbalances and improper maintenance, a fiberglass pool may also be a better option. 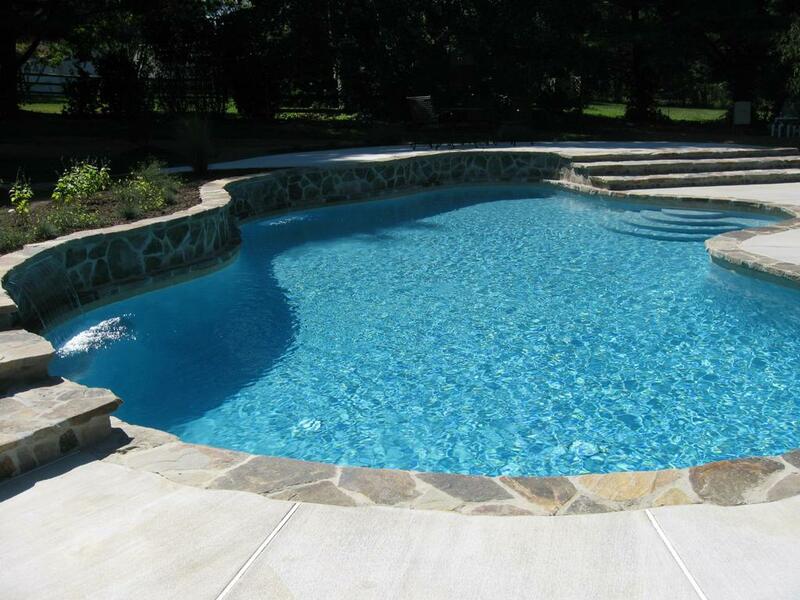 What does installing a fiberglass pool entail? You must tear out the old pool’s structure. That means removing everything from the wall panels and liner, to vermiculite floor. In some cases your existing decking should be removed as well. Next the existing hole from where your swimming pool structure once stood needs to be brought up to the proper grade. This is done with gravel or sand, depending on builder preference. The gravel will also be used to backfill the sides of the pool. Additional gravel will cost you more the wider your pool is, thereby you may want to consider using sand to bring the hole to the proper grade. The pool will need to have at least 3 feet of concrete surrounding it. The concrete connects to the fiberglass pool’s lip, thereby working as a structural bond beam. Now that the pool is installed, you can begin rebuilding your pool area. With Spring upon us, it is time to consider if your vinyl in-ground pool is up to the challenge. Although initially more expensive, a fiberglass pool insert will give you the longevity that a vinyl liner replacement just can’t. 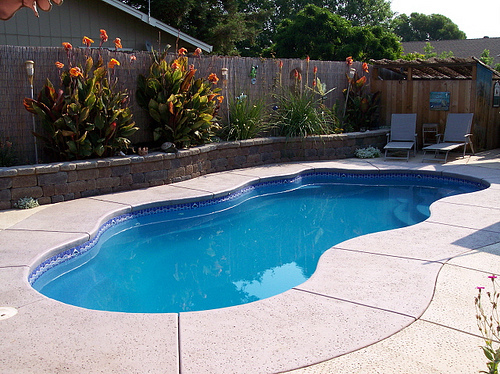 Pool owners on a whole rarely regret the decision to switch from vinyl to fiberglass. If you know your pool’s vinyl liner is going to need to be replaced, Elitepools.ca is equipped to help you make the switch to fiberglass. Contact one of our knowledgeable pool professionals today!